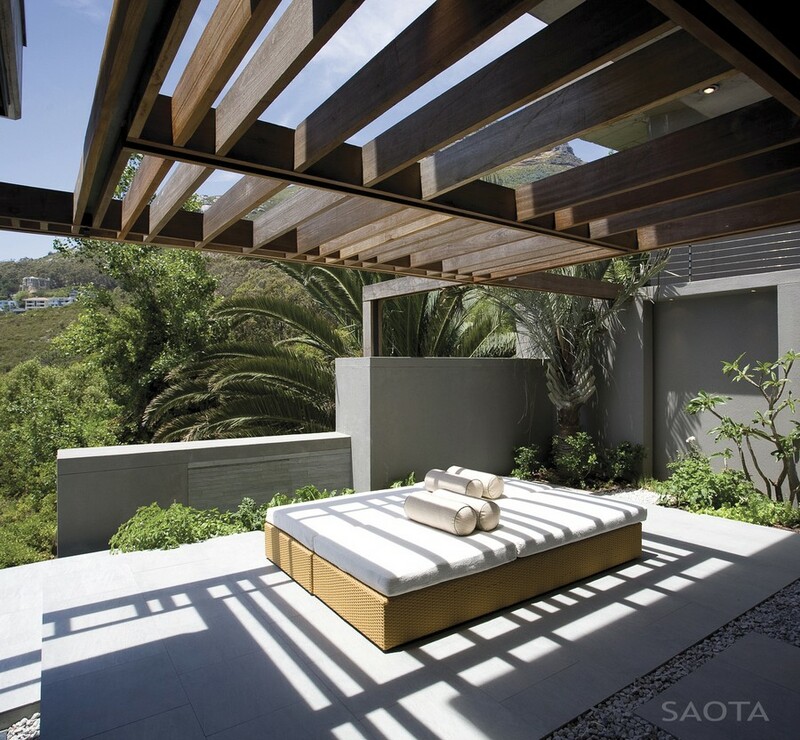 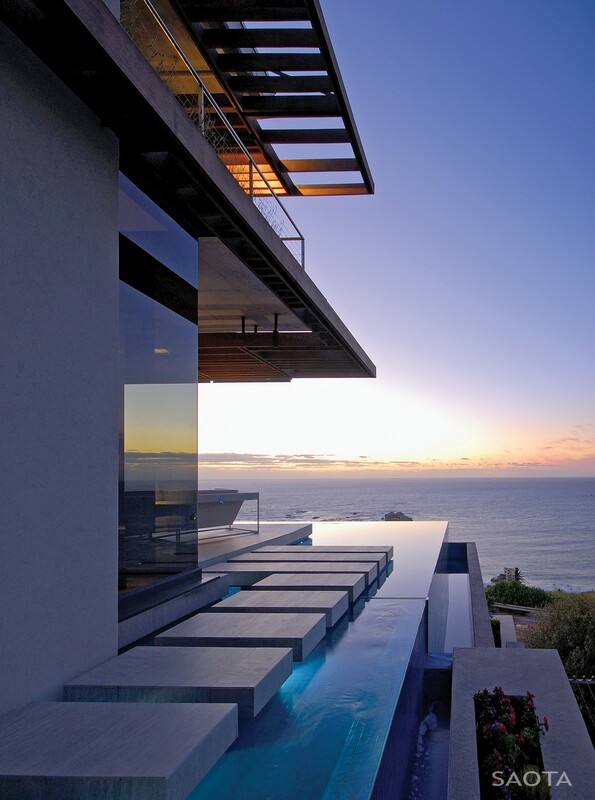 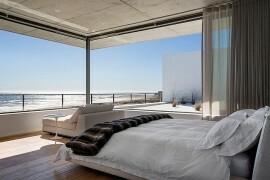 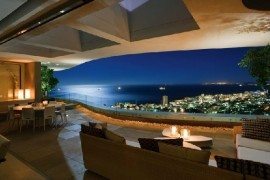 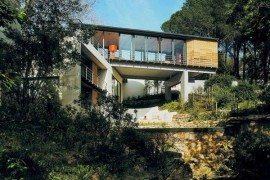 SAOTA is renowned for producing some of the best houses in Cape Town and Johannesburg for quite a while. 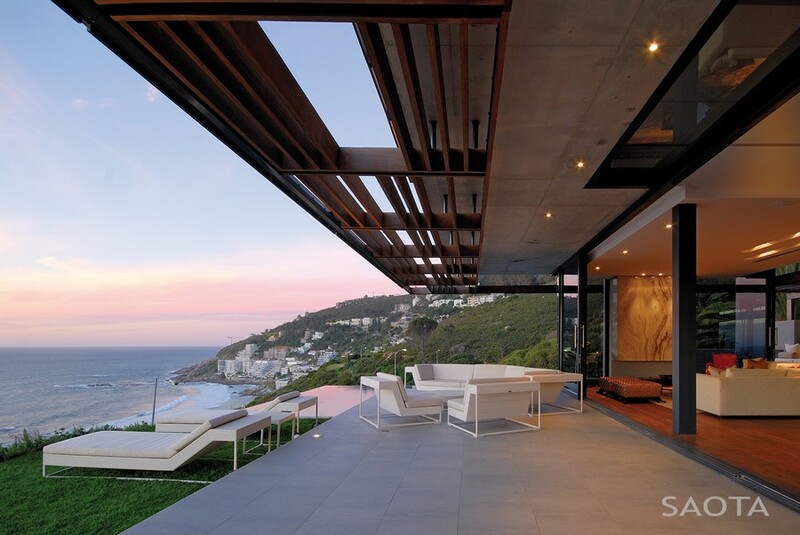 When it comes to sleek, contemporary interiors coupled with gorgeous views, they are among the best in this neck of the woods. 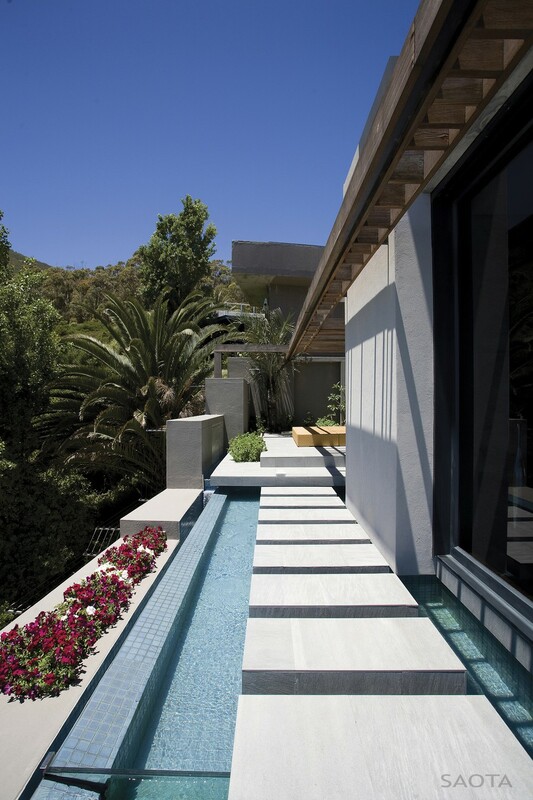 This latest gem from their dazzling collection comes from Cape Town and is dubbed as Kloof 151 project. 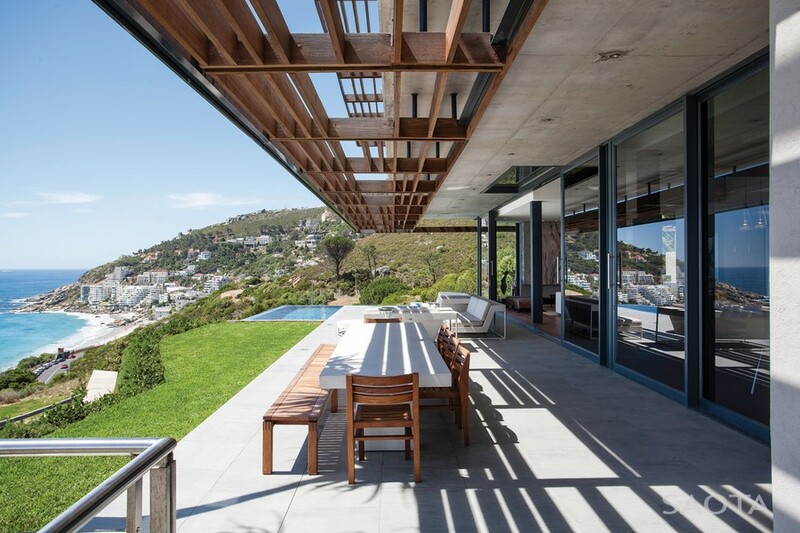 Overlooking the Clifton, the modern residence has been crafted to provide the best of luxury while still offering unabated views of the crashing waves in the distance. 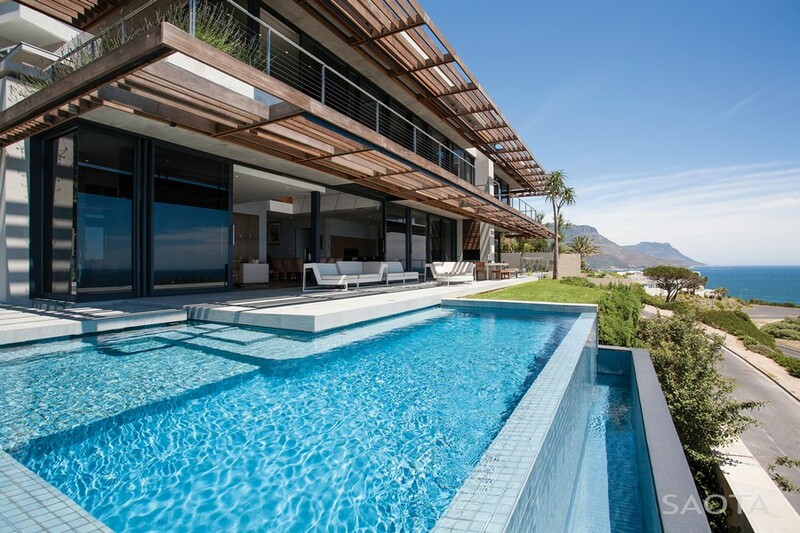 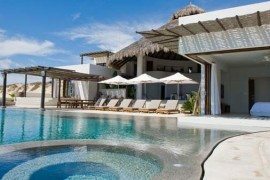 The most distinct feature of the house is the use of cantilevered balconies and strategically placed hardwood screens that shield those inside from the blazing sun. 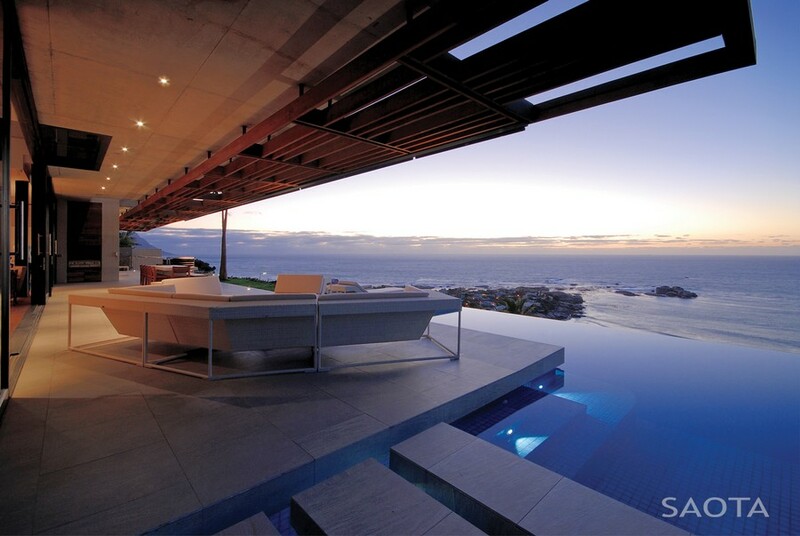 Refreshing infinity pool not only helps you enjoy the spectacular sunsets and changing hues in the distant horizon, but also cool down after a hot Cape Town day! 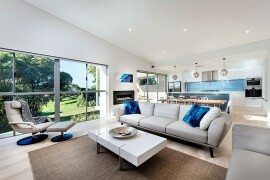 A main living area is housed in the bottom floor with an open floor plan so as to encourage interaction between various levels. 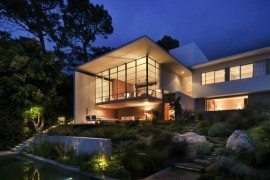 Four en-suite bedrooms occupy the first floor with a well-equipped gym and studio space completing the remainder of the home. 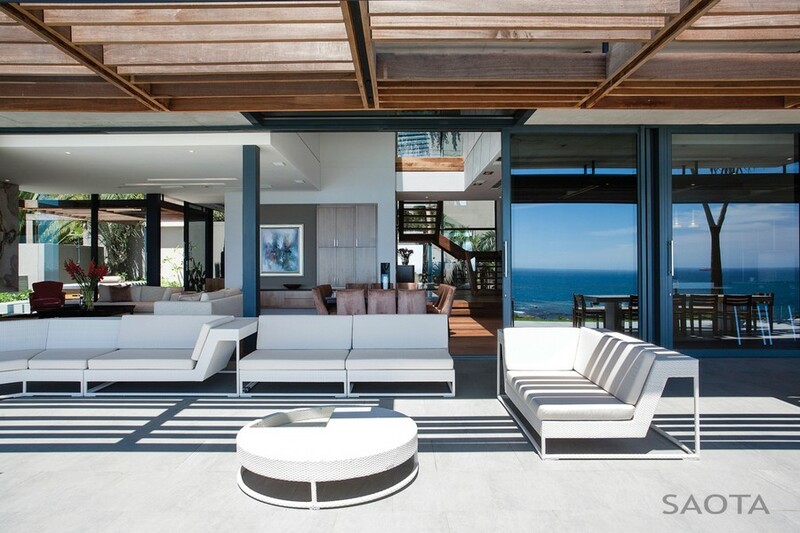 The generously spacious interiors are clad in cool neutral colors while the outdoors use rich and deep tones to reduce glazing effect on a sunny day. 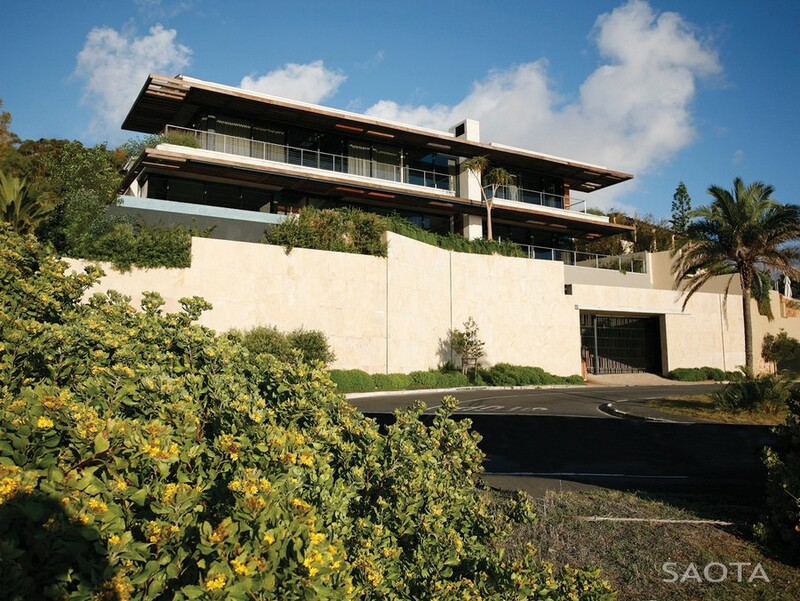 Uncompromising luxury greets you at every turn inside the Kloof 151 with the extravagance indoors matching the splendid views outside.